St. Patrick’s Day Deal! 6 Free Towels! 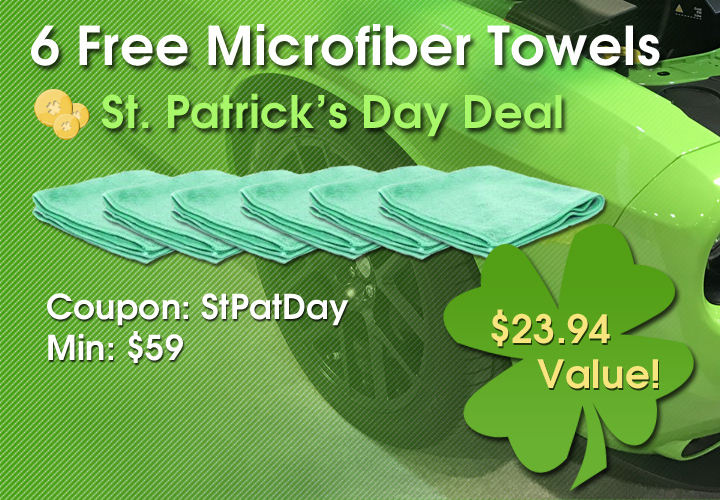 Get 6 free Green All Purpose Microfiber Towels from 3/17/2019 through 3/19/2019 using coupon code StPatDay when you spend a minimum of $59. Celebrate St. Patrick’s Day with free towels on your next purchase!